Waldy Diez and Joe Mineo prepare for The Rowan Report. Who would play them in a WGLS-based movie? 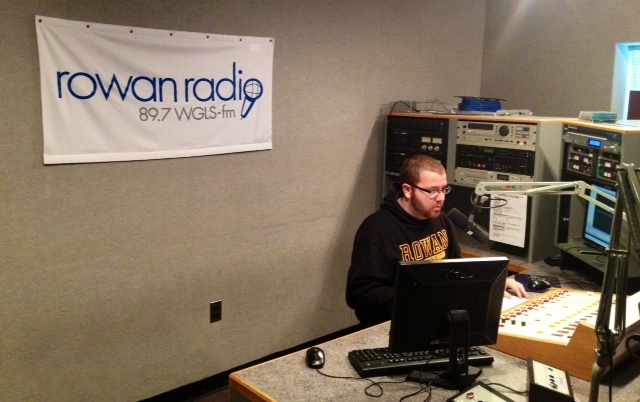 Rowan Radio 89.7 WGLS-FM is typically entrenched in all things radio. However, with the 85th annual Academy Awards looming in a few weeks, station members took time out to answer a movie-related question. Rowan University Basketball returns to the airwaves of WGLS-FM on Saturday afternoon beginning at 1 in an NJAC doubleheader. Coverage starts at 1 with women’s action when the Profs take on the Ramapo College Roadrunners. Rowan Radio will hold their general interest meeting for students on Friday. Recently, we caught up with WGLS members to discuss what they remembered about their experiences in WGLS-FM’s training program.